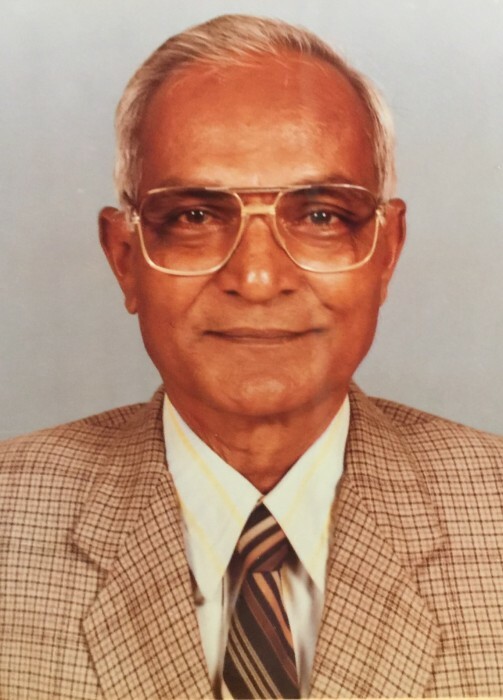 Thakorbhai Maisuria, 92, of Lake City, passed away peacefully on Tuesday, November 27, 2018 at the Lake City Medical Center with his family by his side. He was born on November 30, 1925 to the late Parbhubhai and Maniben Maisuria in Surat, Gujarat, Village Umra, India. He has made Lake City his home since the early 90s, moving here from India. He was a teacher by trade, and enjoyed his profession. He also loved to work on clocks, music, painting, farming and bicycling. He is survived by his wife of seventy-three years; Bhuriben Maisuria of Lake City; son; Jagdish Mehta (Ramilaben) of Manning, SC; daughters; Urmilaben Mehta of Newark, Delaware, Rekha Chand of Lake City and Shobhaben Maisuria (Sunil) of Jacksonville, FL; brother; Ranchhodbhai Maisuria (Lalitaben) of Columbia, SC; sisters; Shantaben Maisuria of Surat, India and Kamuben Maisuria of Kannapolis, NC; twelve grandchildren, seven great-grandchildren along with numerous family members and friends also survive. Services for Mr. Maisuria will be conducted on Friday, November 30, 2018 at 10:00 A.M. in the chapel of Gateway-Forest Lawn Funeral Home. Cremation will follow after the services.